The Cappagh Orthopaedic Hospital Research and Development Foundation trading as Cappagh Hospital Foundation is an Irish Registered Charity, No. 9282. It is a company limited by guarantee, company registration No. 136618. Charities Regulatory Authority Registered Number: 20023201. Cappagh Hospital Foundation is committed to complying with and implementing the relevant legislative requirements. In 2017 Cappagh Hospital Foundation Board undertook to start the process to become compliant with the principles of the Governance Code for a Type C organisation as set out in the Governance Code for Community, Voluntary and Charity Organisations in Ireland. The Charities Governance Code has since been introduced by The Charities Regulator. The Charities Regulator, established in 2014 is an independent authority and are Ireland’s national statutory regulator for charitable organisations Charities Regulatory Authority. By law, charity trustees have individual and joint responsibility for what happens within their charity. This means that if the charity does not meet its legal duties, Trustees are responsible both as individuals and together as a board, committee, council or other core group (referred to in this Code as the ‘board’). In 2017, the Directors elected to prepare financial statements in accordance with SORP – Statement of Recommended Practice as per the Companies Act 2014. GDPR and you: The reason CHF has been able to achieve so much for Cappagh National Orthopaedic Hospital since 1988 years is because of you – and we wanted to tell you we are committed to keeping your information safe and secure as per the 2018 introduced GDPR Laws. If you have any queries about your details, please do get in touch. The Trustees carries the full governance responsibility for the organisation. No Trustees receive any payment for their contribution/support of The Company. Eleanor Garvey is Science graduate from UCD, graduating in 1983 with an M.Sc. in Pharmacology. She has worked in Pharmaceuticals and Healthcare in Ireland with several pharmaceutical companies in manufacturing and supply of a range of products from tablets to biotechnology. She is currently Head of Quality and Compliance for UDG Healthcare plc and has previously held senior positions in Amgen, Pfizer and Merck Generics. She is a former Chair of the Irish Bio-Industry Association, having served from 2007 to 2009. 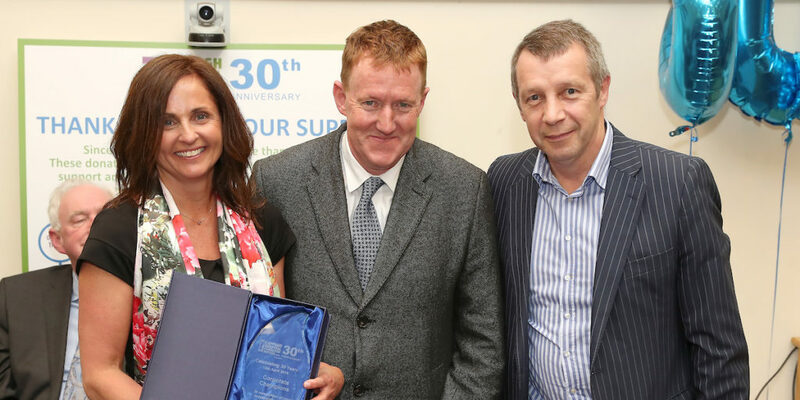 She has worked for the past 30 years in the pharmaceutical and healthcare industry and has a long-lasting interest in improving the lives of patients both through medicines and the services available to support people on their journey through treatment. Having studied Arts in UCD, Shay joined the advertising business. He became joint Managing Director of Hunter Advertising which subsequently became part of the Saatchi and Saatchi International group of agencies in 1987. In 1993 he was invited by the Group to become Chief Executive of Zenith Optimedia, the first multinational media agency established in Ireland, a position he held for almost 20 years until his retirement in 2012. Professor Stephen Eustace is Newman Professor of Radiology in University College Dublin and Consultant musculoskeletal Radiologist and Director of Radiology in Cappagh National Orthopaedic Hospital. He took up appointment in CNOH in 1999 having returned from the USA where he had served as Associate Professor of Radiology in Boston University and Fellow in Radiology in Harvard Medical School. He is an author of 3 textbooks, 22 book chapters, 170 scientific publications and over 400 international presentations. 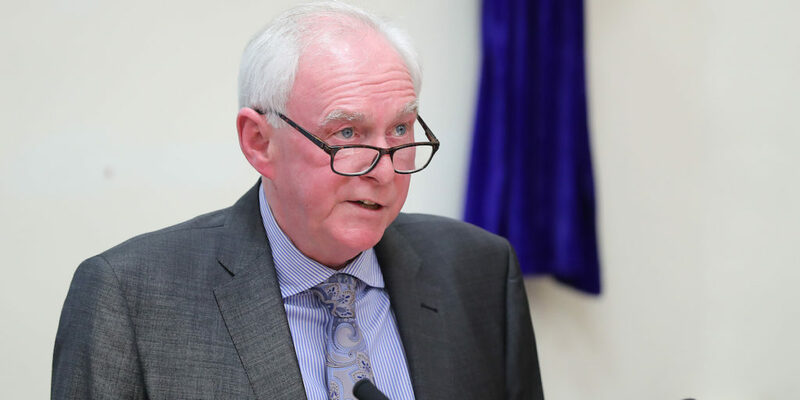 Professor Eustace has served as Honorary Radiologist to the IRFU, Radiology advisor to the GAA, has been Honorary radiologist to the Irish Olympic Teams in Beijing, London and Rio De Janeiro, and is the serving Chairman of the Medical Committee of the FAI. 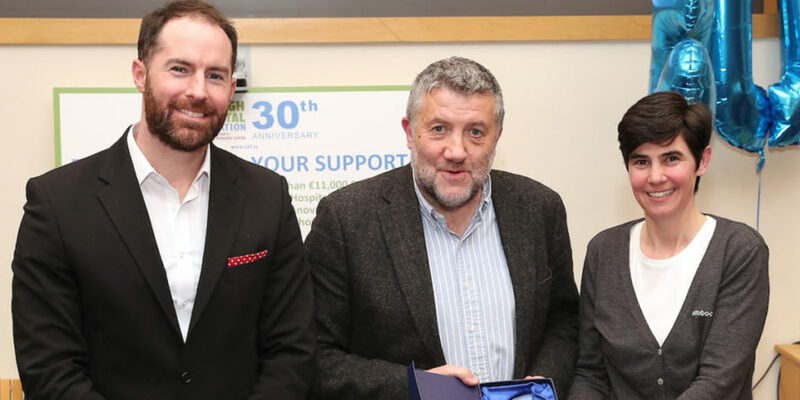 His interest is to continue to develop, with the help of the Cappagh Foundation, Cappagh into a world class Orthopaedic hospital with facilities serving all members of Irish society. Prof Michael Stephens is a Consultant Orthopaedic Surgeon specialising in foot and ankle surgery in adults and children, and his practice has been and is dedicated to this. 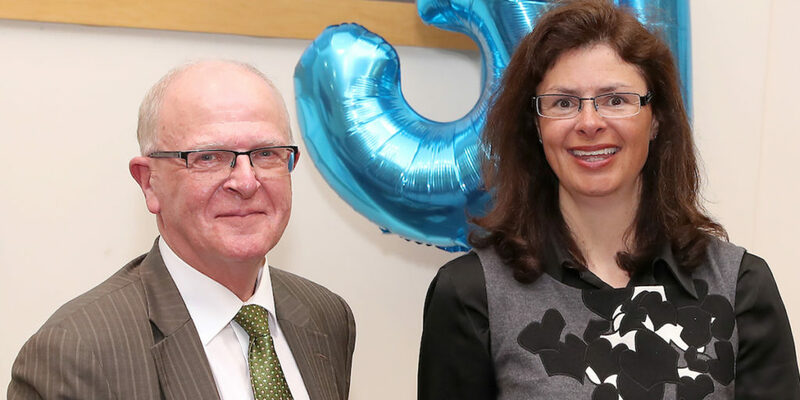 Prof Stephens was director of foot clinics and prior to his departure from public practice he offered a six month accredited international clinical fellowship in foot and ankle surgery for paediatric and adult foot & ankle disorders. Between 1981 and 1982 he was clinical fellow in spinal disorders in the Robert Jones and Agnes Hunt Orthopaedic Hospital, Oswestry, UK. In 1987 he was lecturer in Queen Mary Hospital and the Duchess of Kent Children’s Hospital in Hong Kong. In 1988 he was a clinical fellow in Foot and Ankle Surgery under the direction of Dr G. James Sammarco in Cincinnati, Ohio, USA. 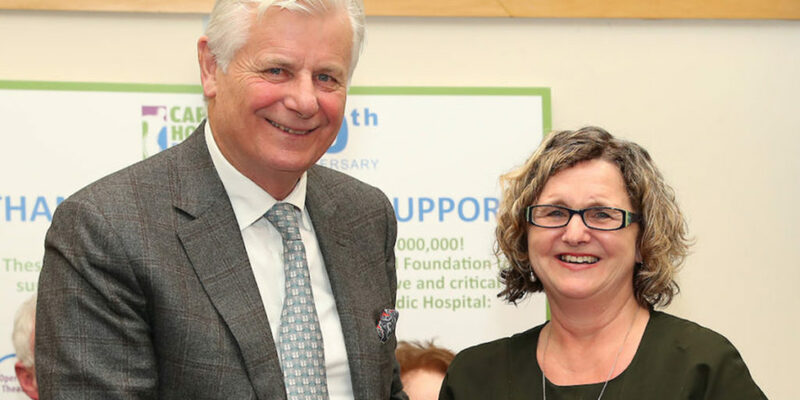 He then returned home to a permanent post as Consultant Orthopaedic Surgeon specialising in Foot and Ankle and Paediatric Orthopaedic Surgery in the Children’s University Hospital (Temple St.), Mater Misericordiae University Hospital, Cappagh National Orthopaedic Hospital and the Central Remedial Clinic. Prof Stephens was President of the European Foot and Ankle Society from 1998 to 2000 and from 2008 -2017 Prof Stephens was the president of the Irish Orthopaedic Foot and Ankle Society. He held the position of Senior Editor of Foot and Ankle Surgery (The European Journal for Foot and Ankle Surgeons) from 1993 to 2018. Since 2012 his clinical practice is situated in the Mater Private and Bon Secours but also the Beacon Hospital and the Private Clinic in the Children’s University Hospital, Temple Street. Prof Stephens continues on a voluntary basis running weekly clinics in the Central Remedial Clinic. (www.footstep.ie). The Board delegates day to day management responsibility to the Chief Executive Officer who reports directly to the Board through the Chair. A small team of 4 dedicated and passionate staff work at Cappagh Hospital Foundation. Thank you to You our Supporters! The work of the Foundation would not be possible without your support. You are the pieces of the jigsaw that, when placed together enable state of the art innovation and critical support of the staff at Cappagh National Orthopaedic Hospital to change lives every day.